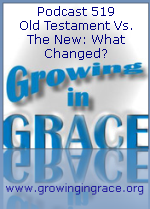 Growing in Grace Podcast: 519. Old Testament Vs. The New: What Changed? 519. Old Testament Vs. The New: What Changed? Some may conclude the Bible seems to have a split personality between the Old Testament and the New Testament. 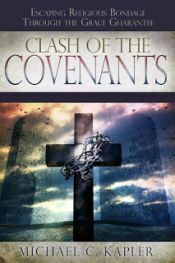 Some of the differences can seem somewhat confusing, especially when portions of both are mixed into various Christian doctrines. So what changed? Was it God? No, he doesn't change. But there was a change to a different covenant, which resulted in a change of law and a change of priesthood. Our discussion this week revolves around these changes and what it means for us today in Christ.